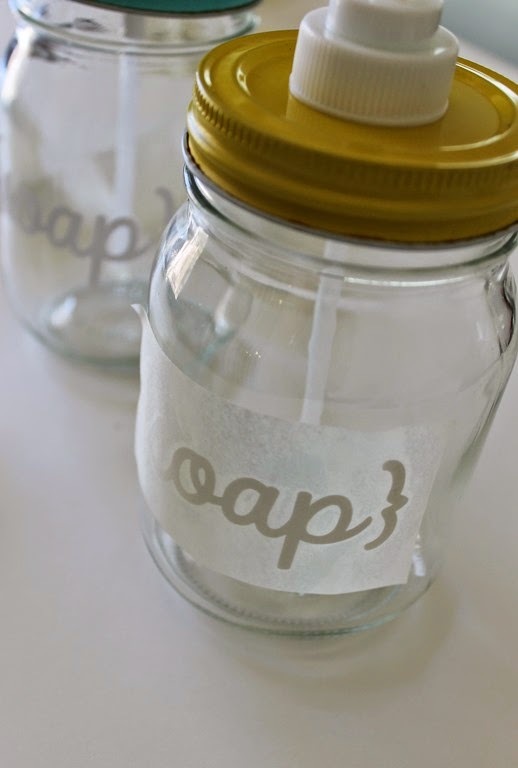 Mason jars are one of the best and flexible objects used for making a variety of creative crafts. 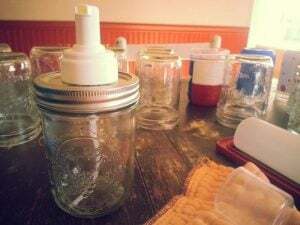 Wondering what to do with these jars as you no longer need them in your kitchen? 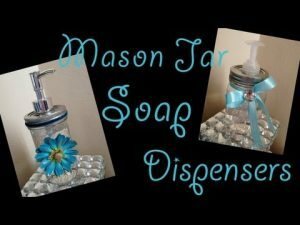 Well, make some awesome looking soap dispensers with them rather than going for conventional ones to make your bathroom look elite and classy. 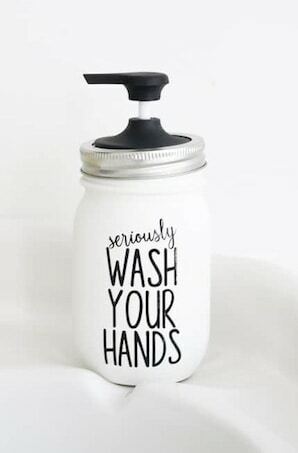 You may even use soap dispensers as presents for your near and dear ones in this festive season. 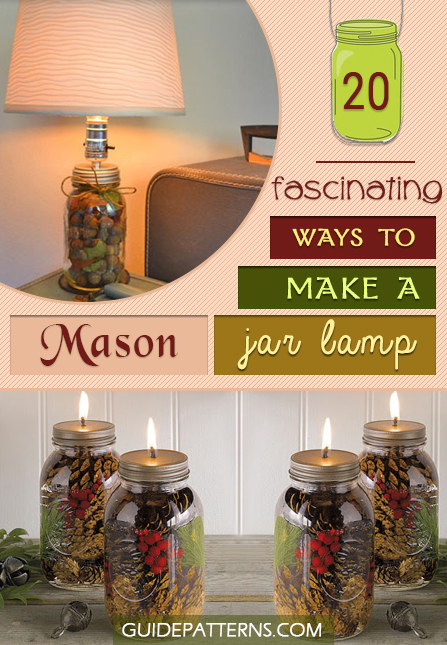 Let’s go through a few ideas and instructions so that you may have an enjoyable time while putting your creativity into action. Make sure that the hole is uniform enough for the soap dispenser pump to fit in well. Apart from the soap dispenser, you may use big mason jars to accommodate your cotton balls, q-tips as well as other bathroom accessories. 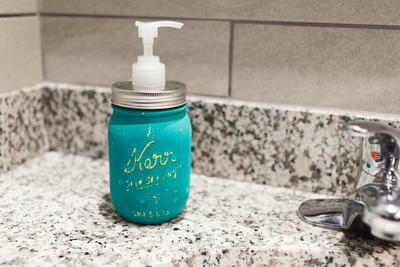 You can even paint the entire mason jar to match the color of your bathroom wall. 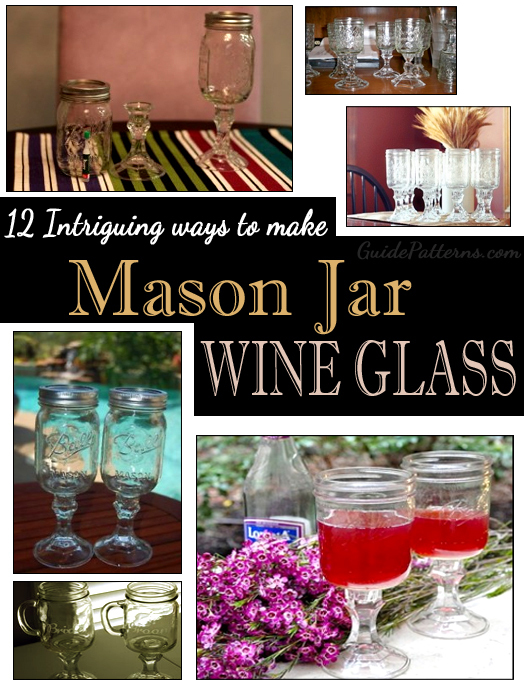 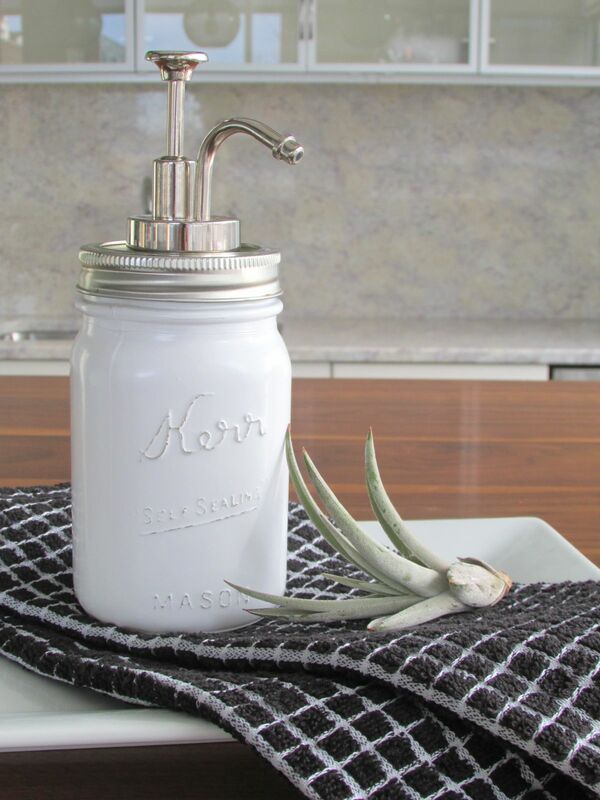 A smaller mason jar would be perfect for your kitchen. 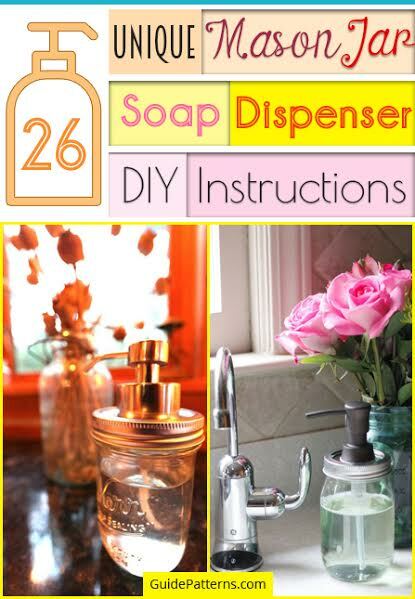 If you intend to fill the dispenser with foaming soap, then add water to your liquid soap to create a bubbly effect. If you are planning to gift this to your best friend on Christmas, tie a gorgeous ribbon around it. 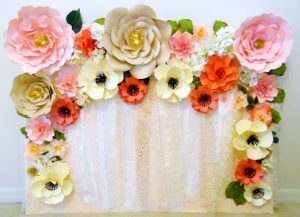 A beautiful crochet napkin would even be an excellent choice. 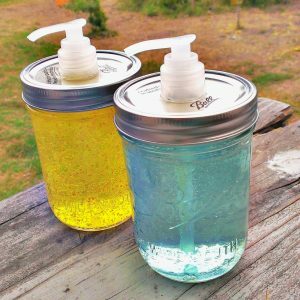 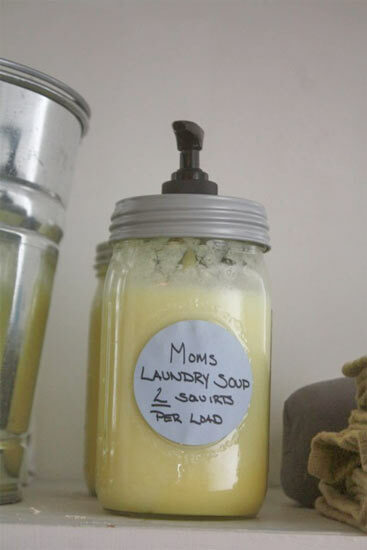 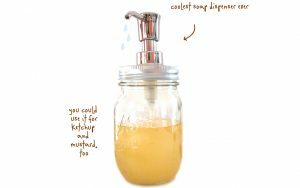 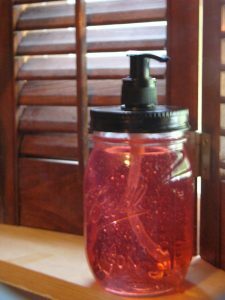 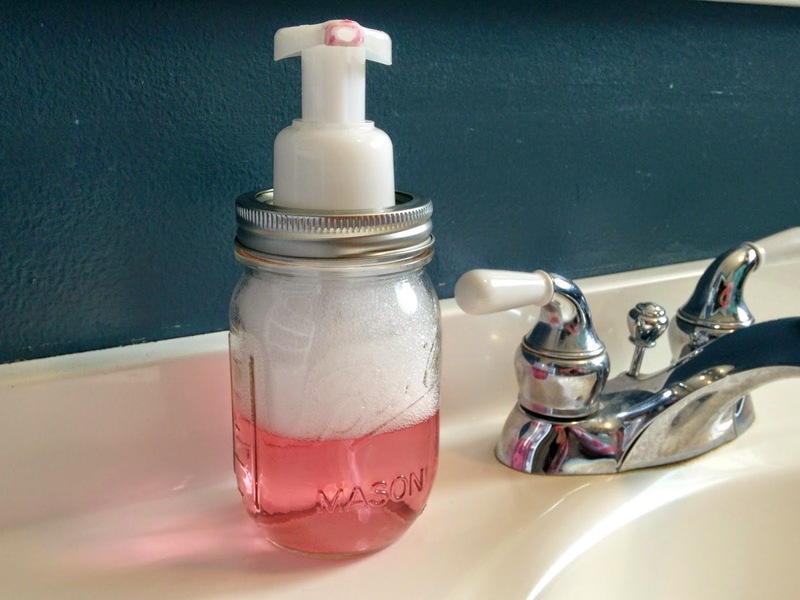 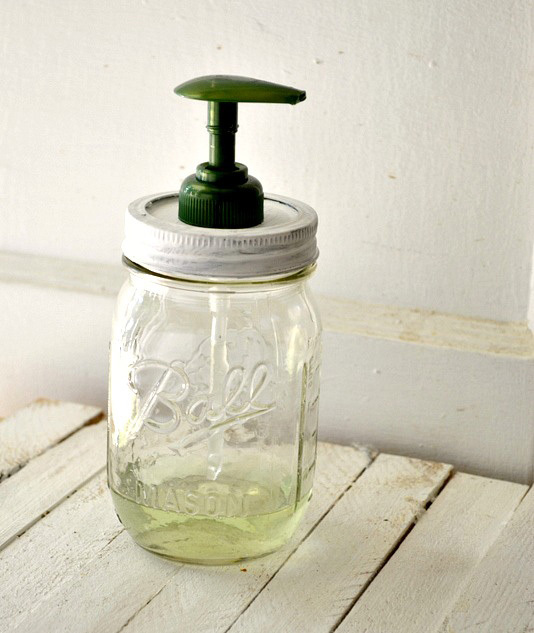 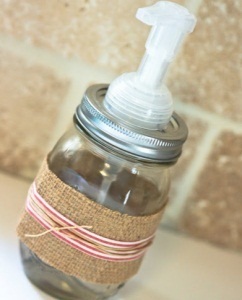 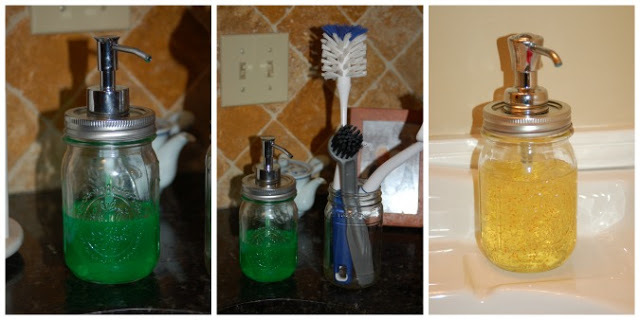 A bright-colored soap would make your mason jar soap dispenser attractive. The white spray paint on these jars gives them a neat appearance. 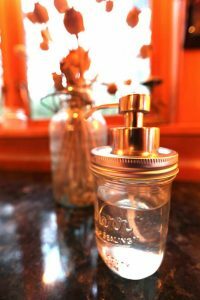 Your bathroom would look complete with a full set of mason jar accessories like a soap dispenser, a toothpaste holder and tissue paper container. 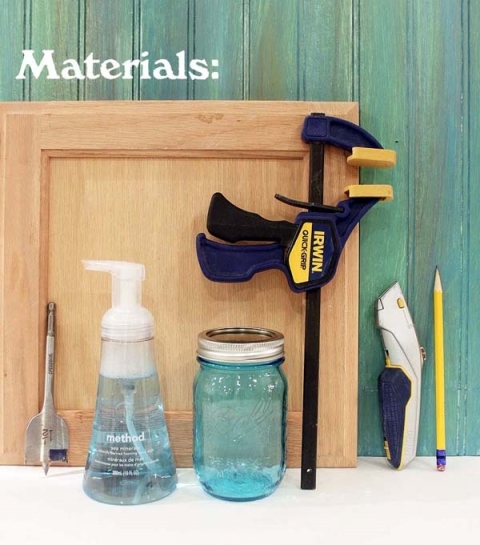 You can make a wooden rack for accommodating all your toilet accessories that would be arranged beautifully in separate mason jars. 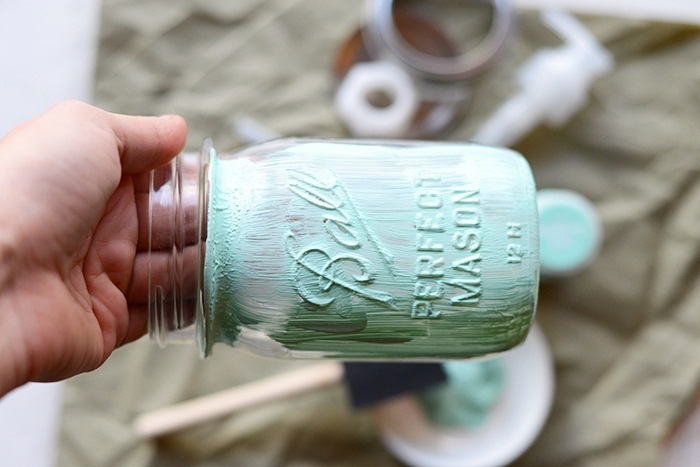 Paint all of them in the color that matches the wall of your bathroom. 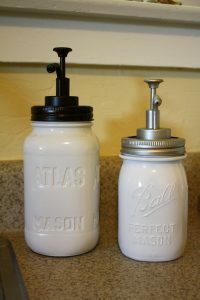 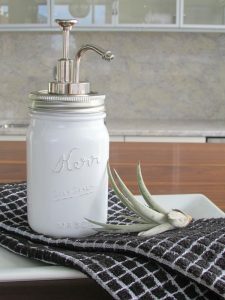 A silver soap pump would perfectly complement the bronze paint of the mason jar. 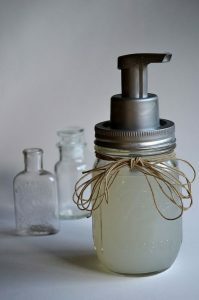 If you have mastered the art of making liquid soap, then it would be a bonus for you to pour your handmade soap into the newly created soap dispenser. The vibrantly colored candle rings decorated with the soap dispensers give it a stunning look. The flowers and ribbons used for decorating the mason jars make it a perfect choice for gifts. 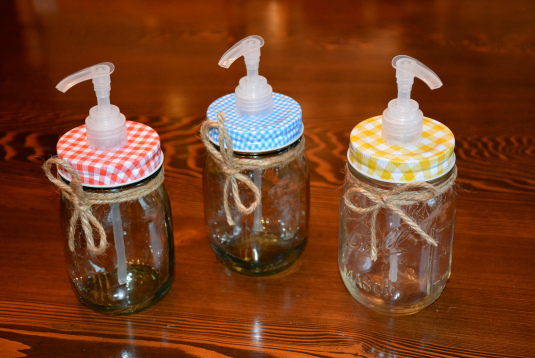 The patterned lids along with the twines tied around the jars add to its creativity. 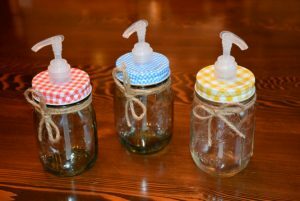 If you are giving them as gifts, then the twines may be replaced by satin ribbons. This lovely red jar would look fantastic in your kitchen especially if the walls are red. 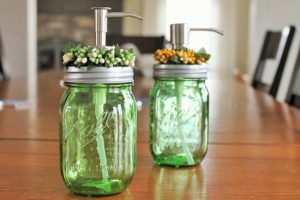 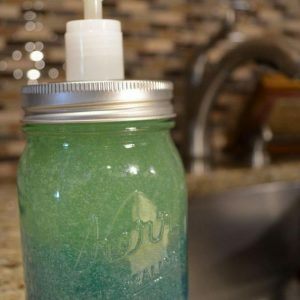 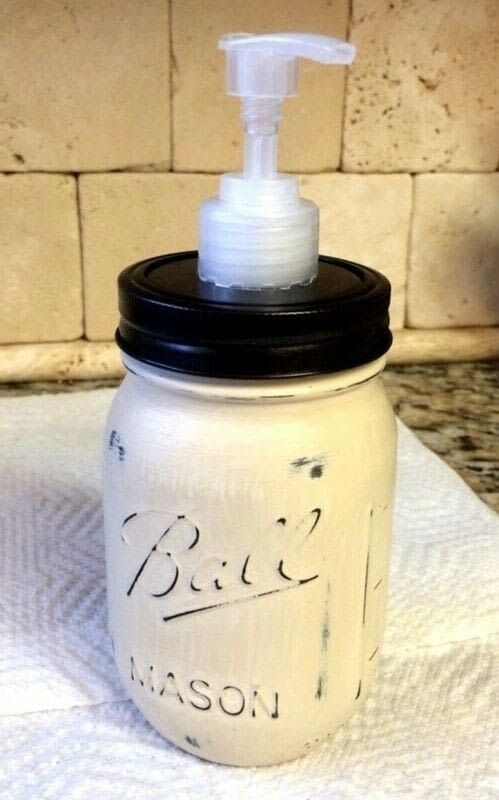 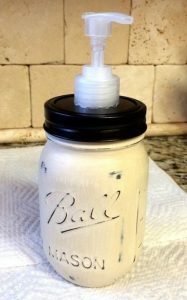 If you want your mason jar to be green, you can either use spray paint it or fill it with soap of the same color. 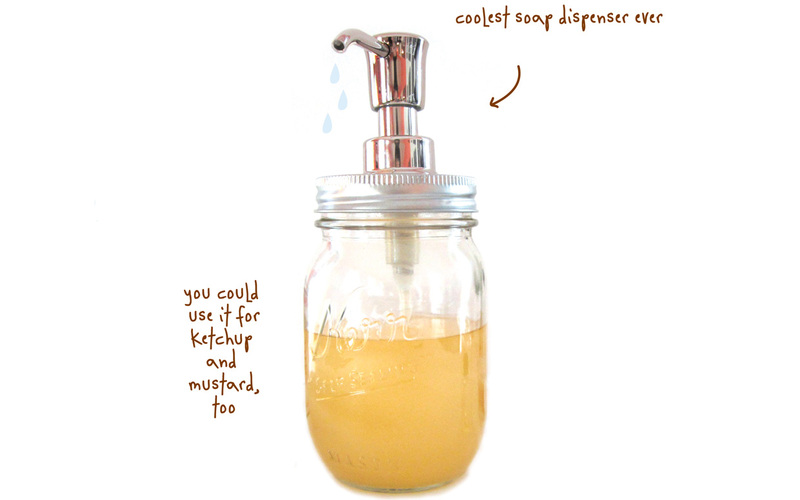 To make a perfect soap dispenser ensure that you have the entire kit at your disposal. 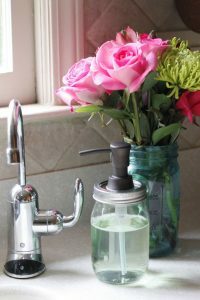 The final look of your soap dispenser highly depends on the choice of soap pumps. 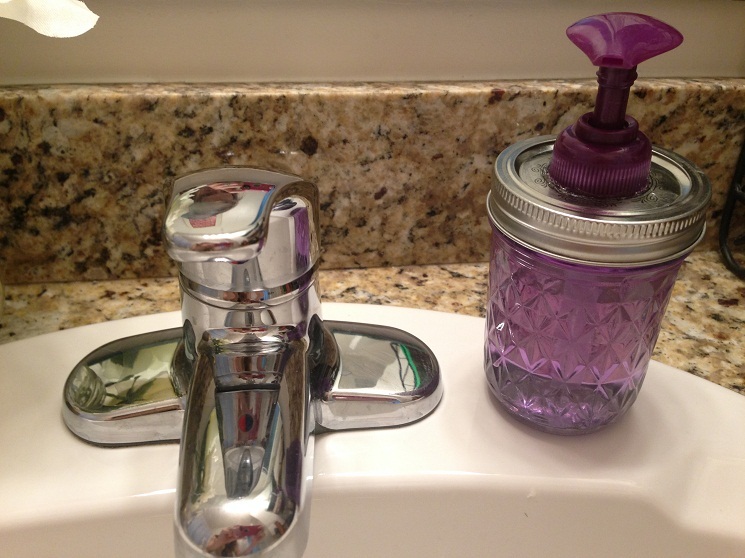 The color of the lid perfectly matches the purple soap in the mason jar. 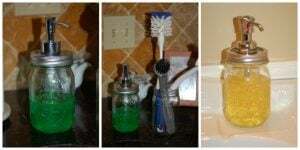 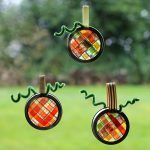 With these fascinating ideas at hand, get set into action to make some unique soap dispensers which you can either make for your bathroom or kitchen or even give away as presents to your nearest kith and kin in the festive season. Thanks for featuring one of my projects!